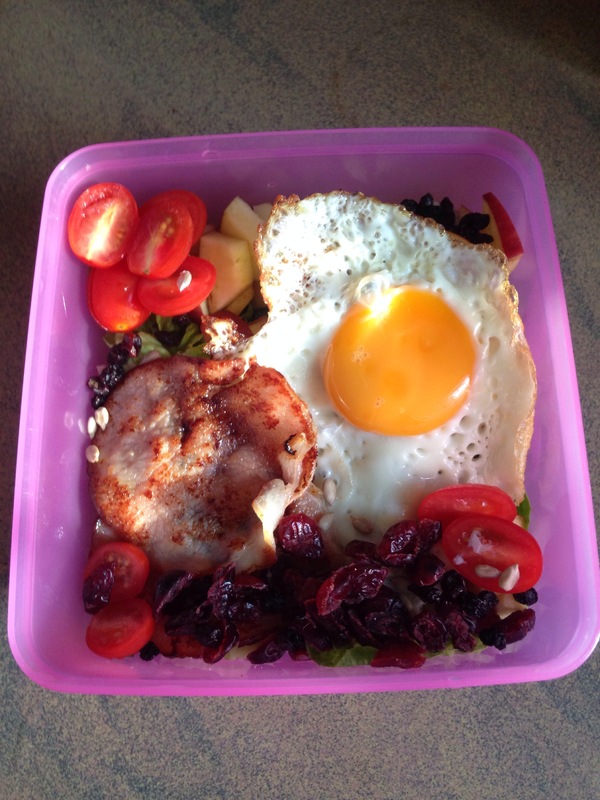 Lunch box of the day #6 bacon & egg , fried cranberry , apple salad | Taste with your eye, the wow factor! My apologies for not updating here, been sick and busy in life . I am back now with my lunch box of the day ! Tasty ingredients – romaine lettuce , cherry tomatoes , dried cranberries , sunflower seeds, dried blackcurrent, sunny side up, bacon , apples .